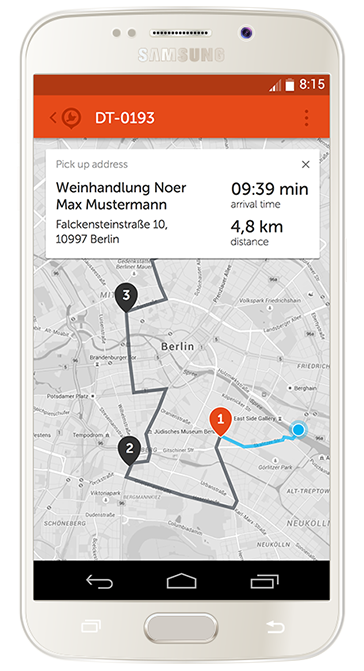 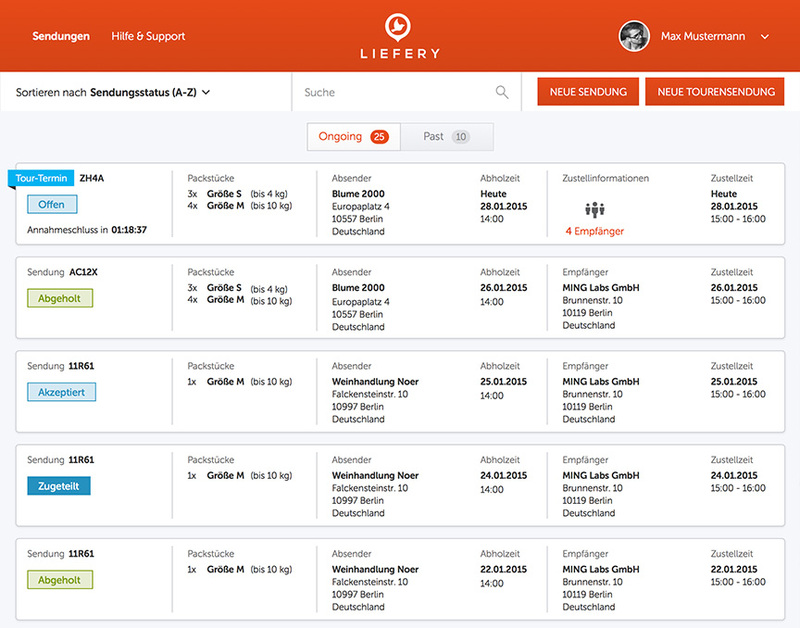 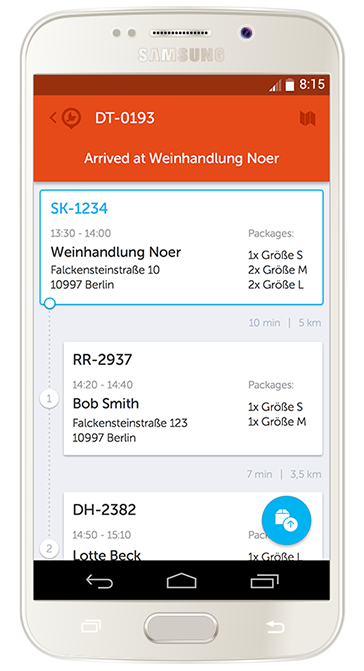 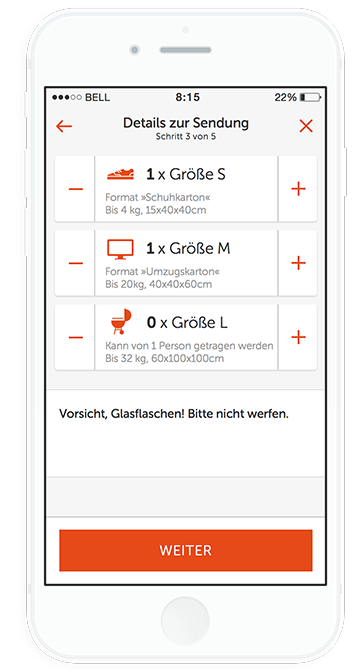 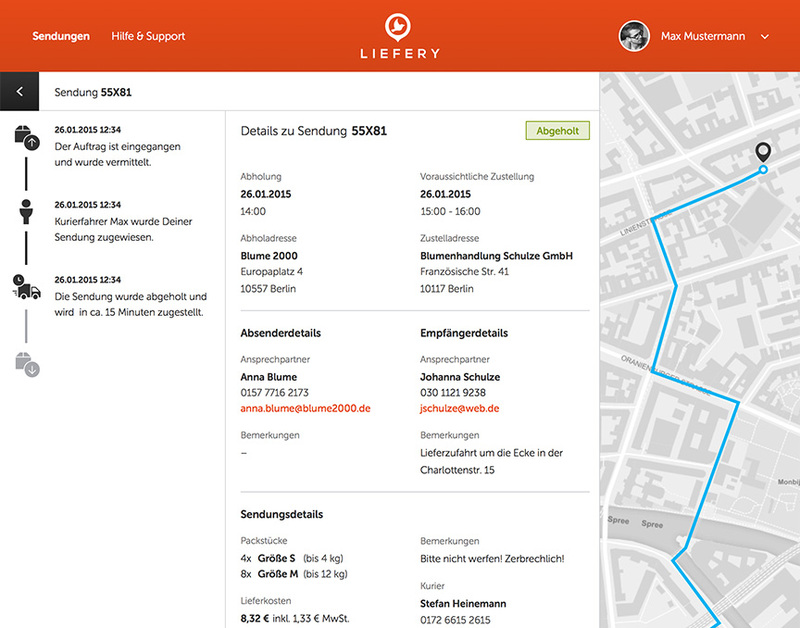 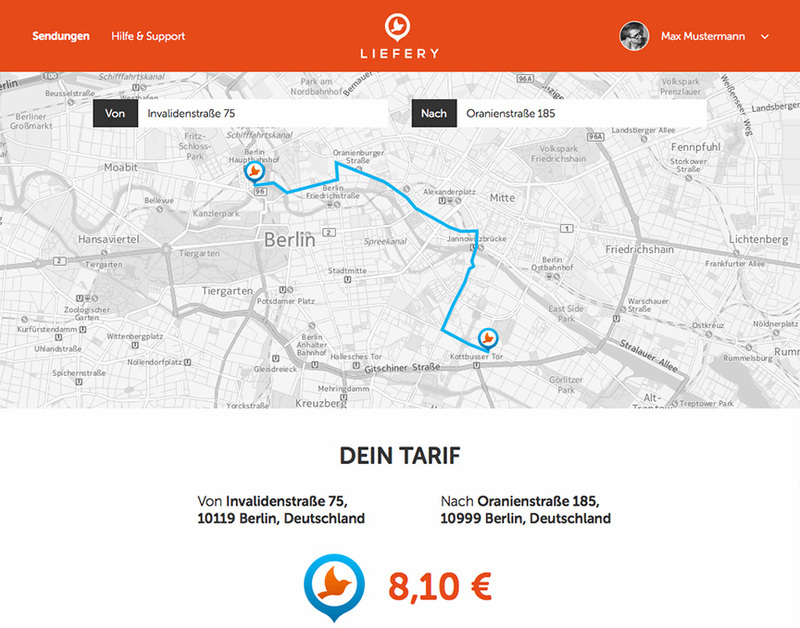 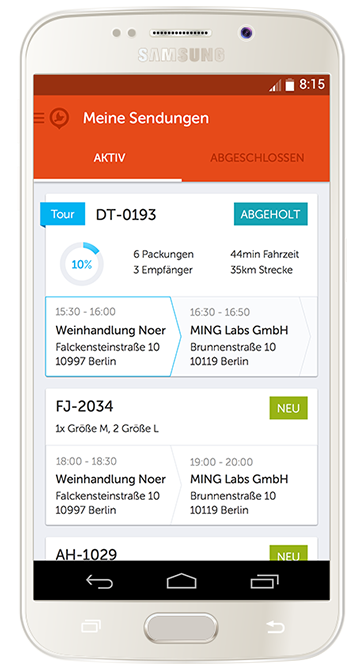 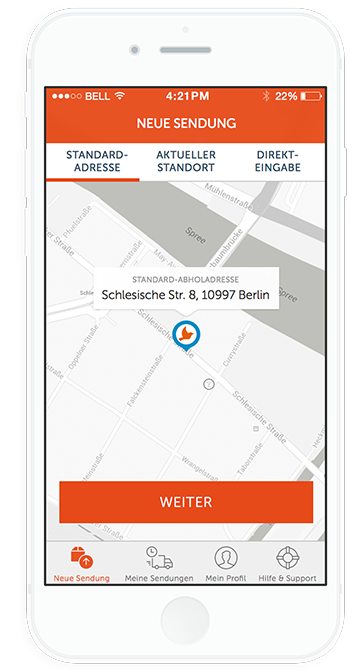 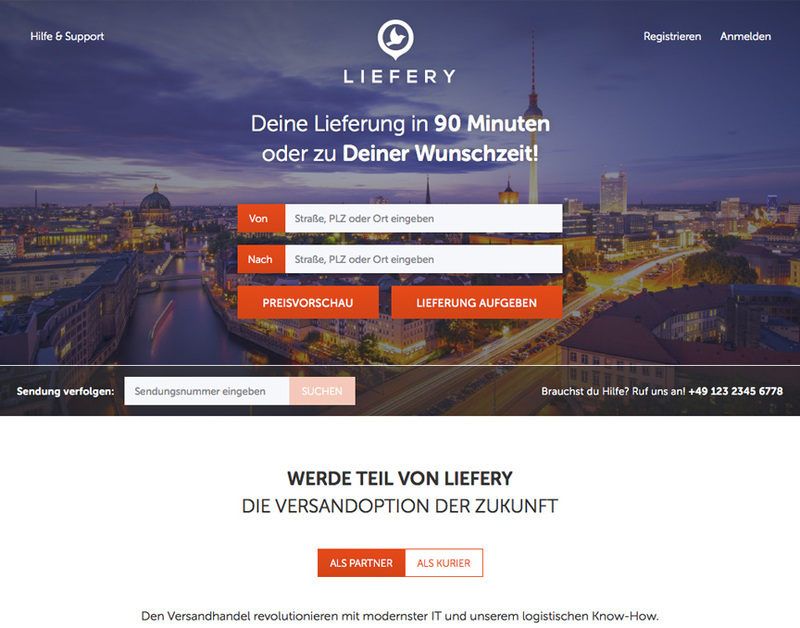 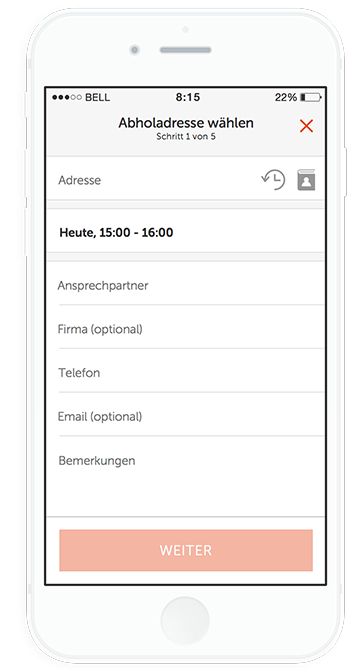 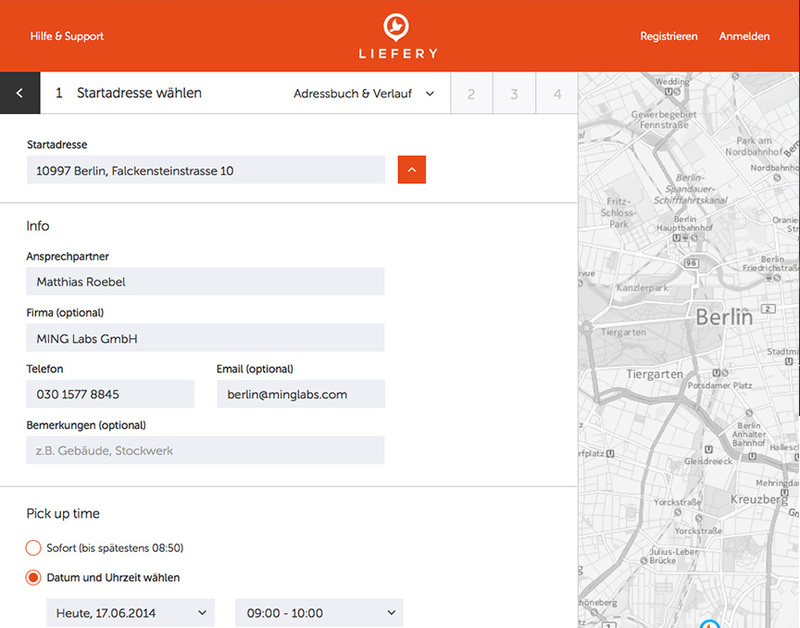 Liefery is a spin-off of time:matters, the Lufthansa cargo subsidiary, focused on same-day delivery service. 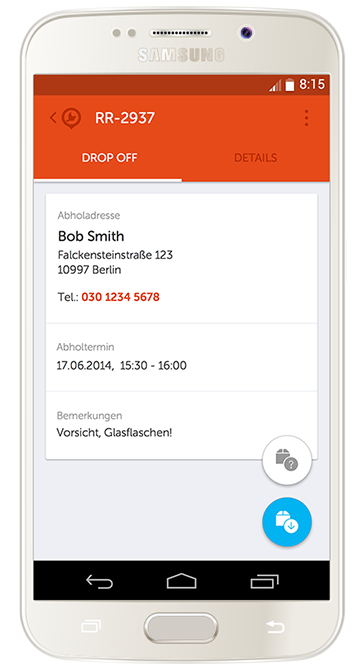 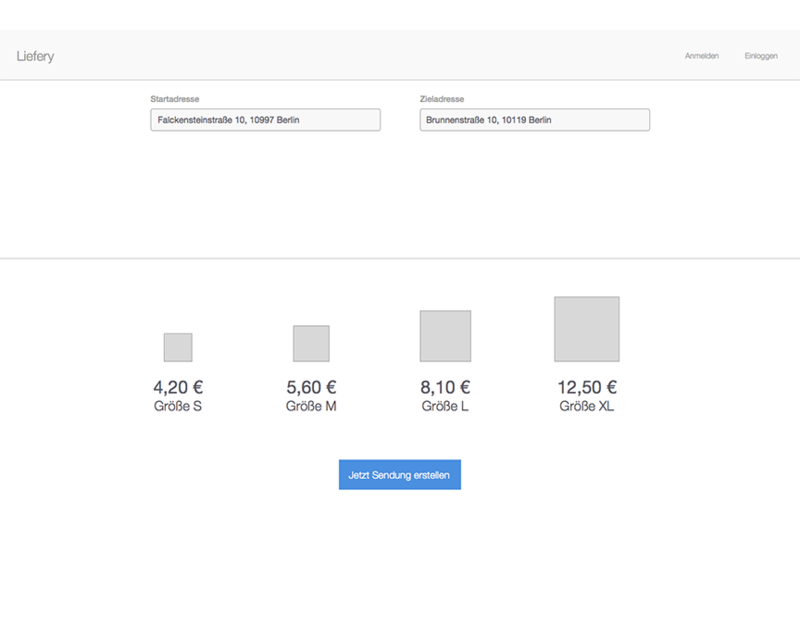 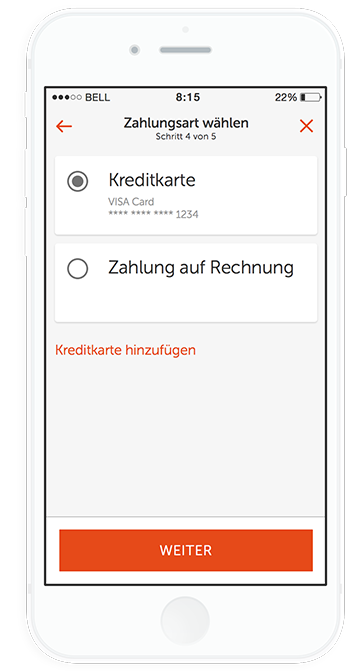 The product suite includes a responsive WebApp, an iOS app and an Android app. 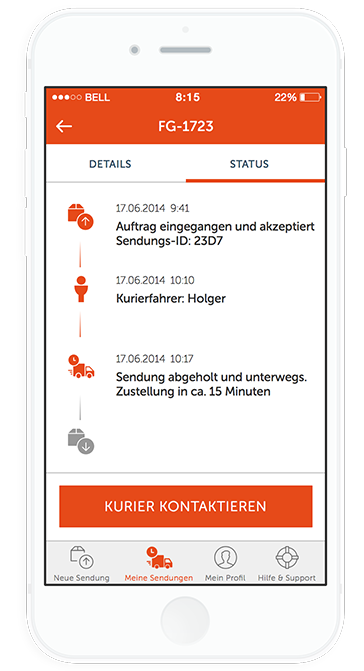 While the first two are consumer facing, the Android app is targeted for the couriers. 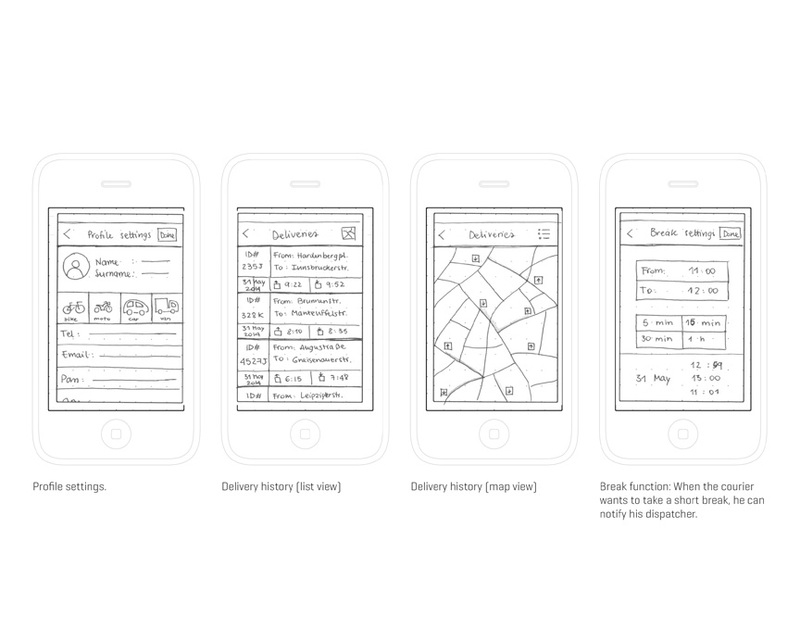 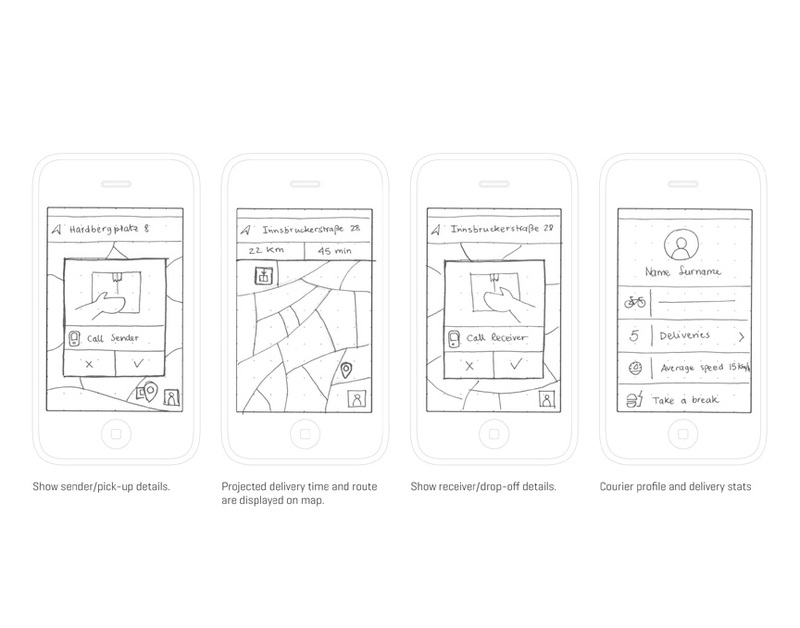 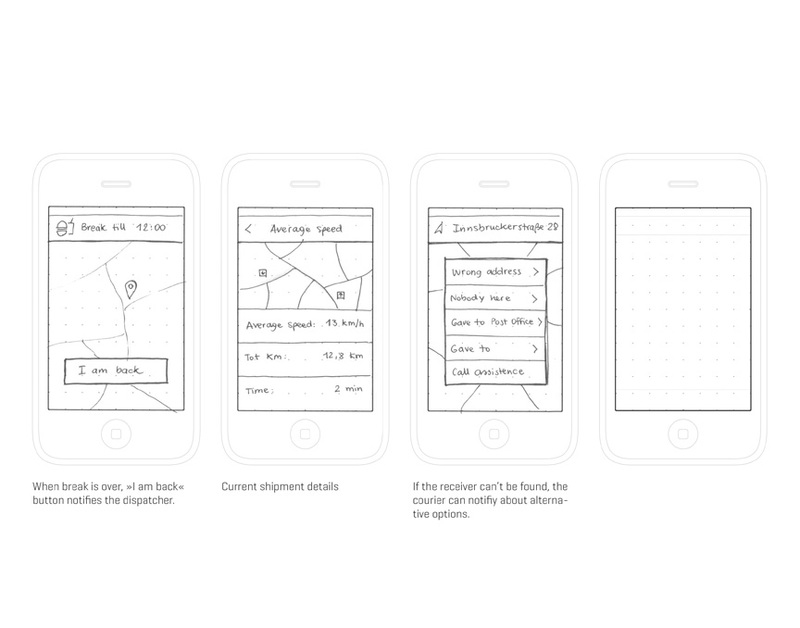 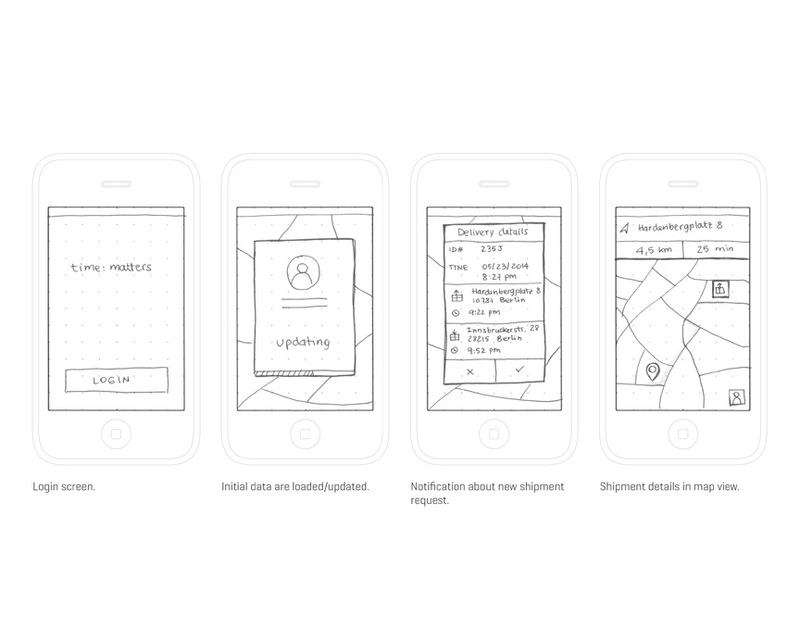 Sketches for the mobile concept of the delivery service, presented at the workshop to challenge the desktop approach and support the creation of customer journeys and user flows. 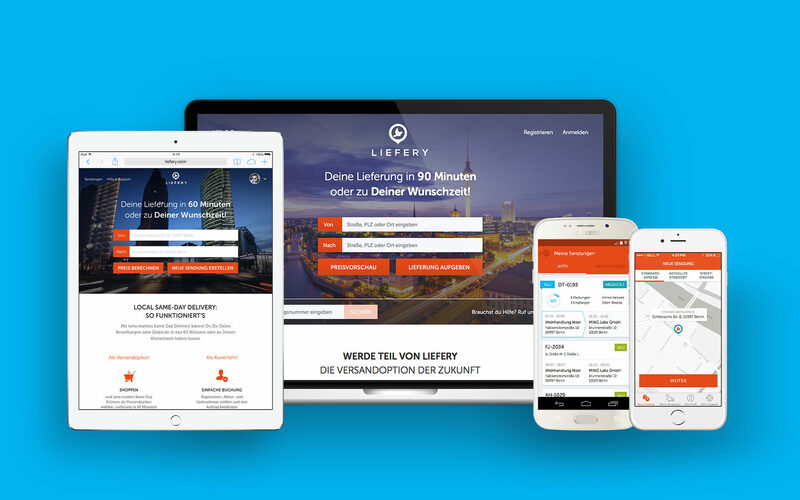 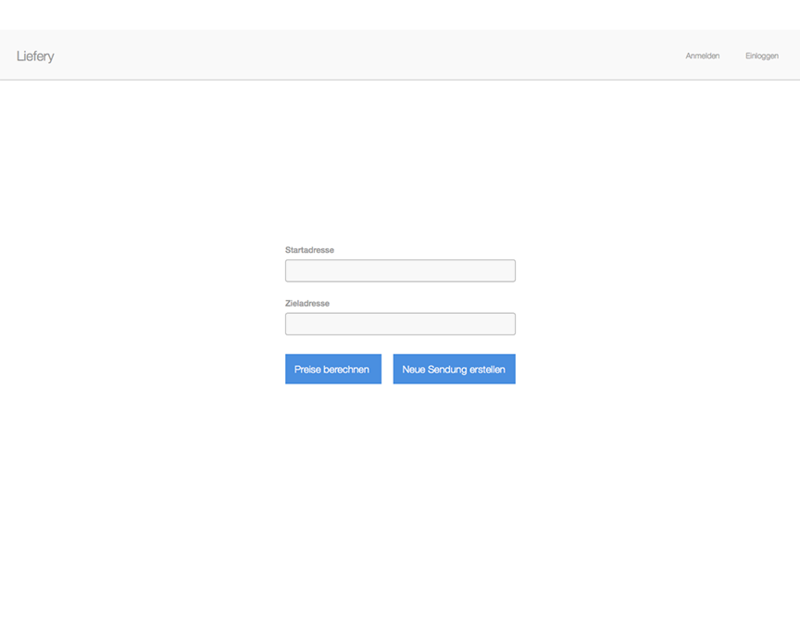 The WebApp is the desktop platform where the delivery system take place, targeted on both B2B and B2C users. 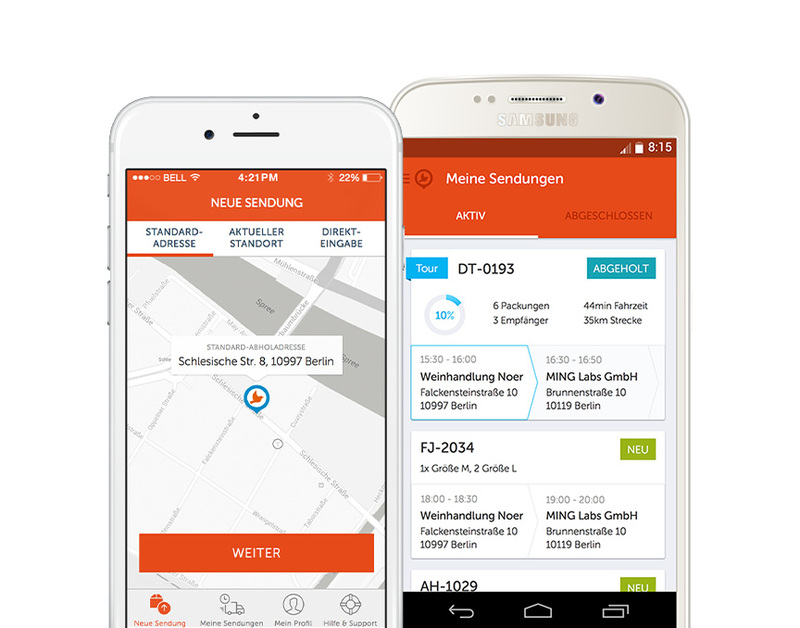 It provides core functionalities as booking, selection of goods, price quote, deliveries management and multiple deliveries tours. 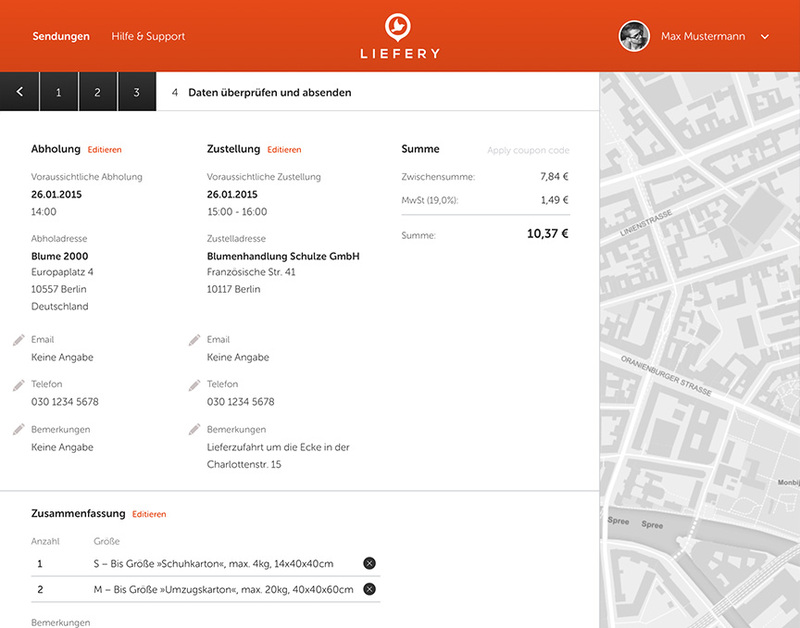 The website is responsive, covering tablet devices. 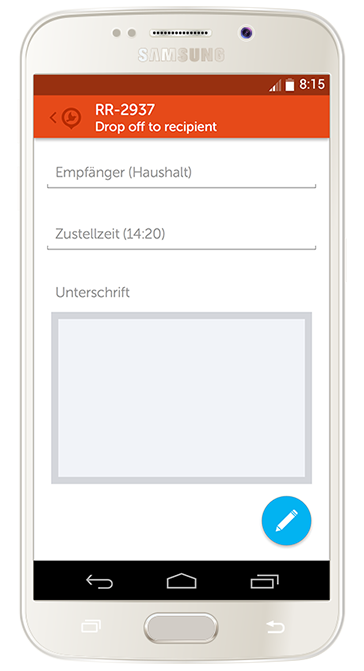 The iOS app serves as mobile version of the WebApp. 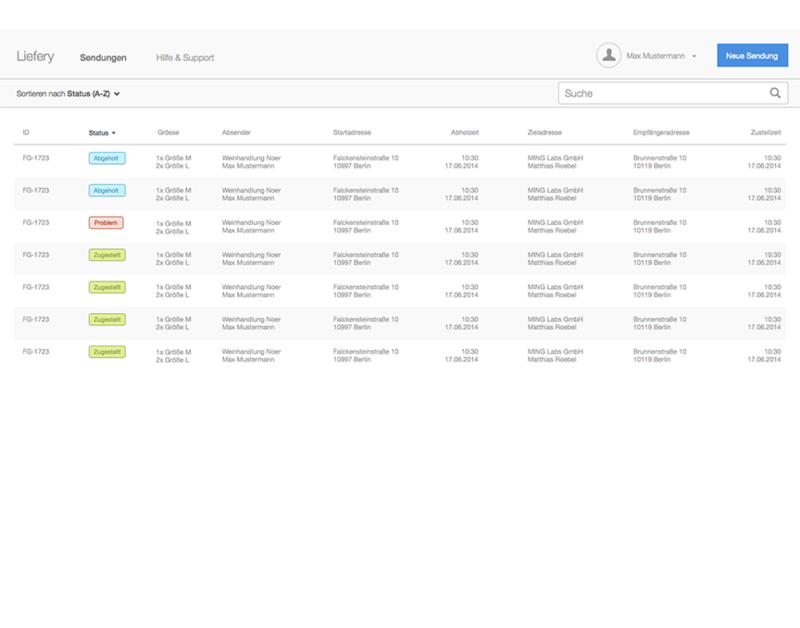 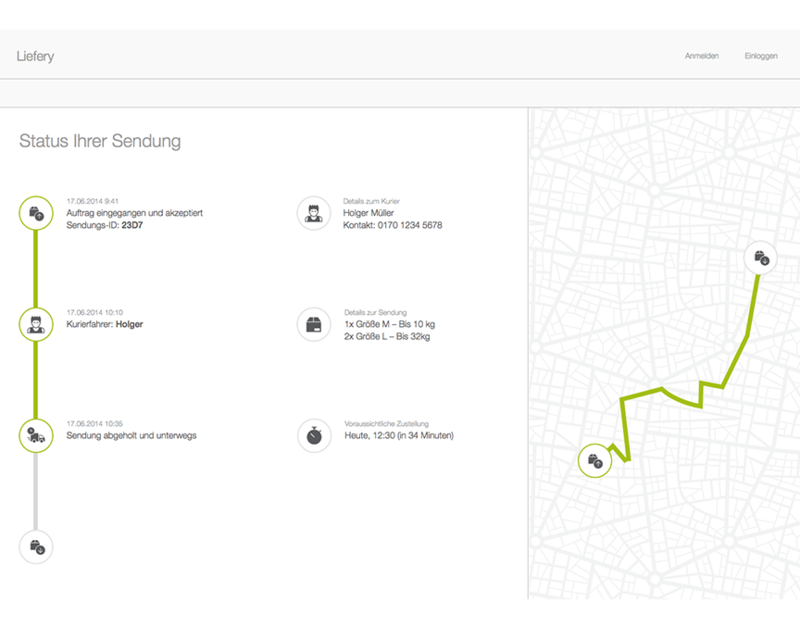 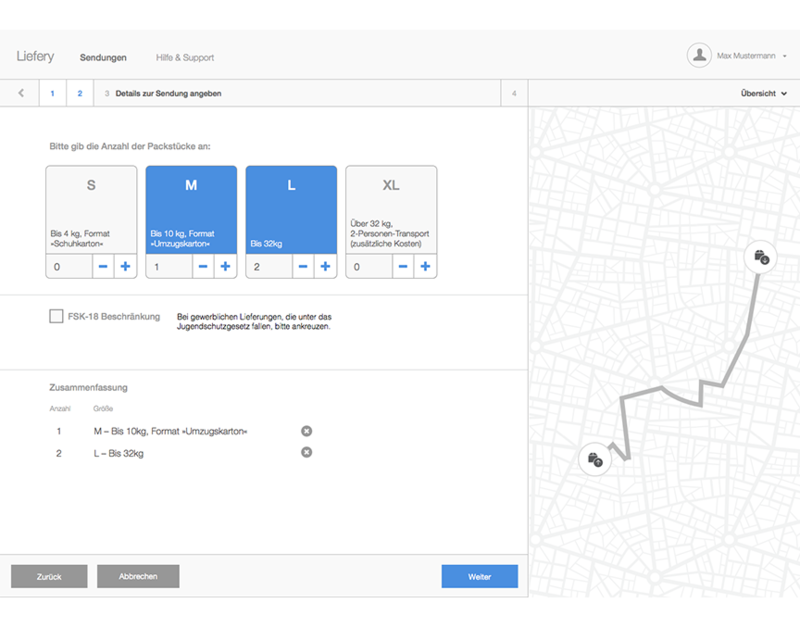 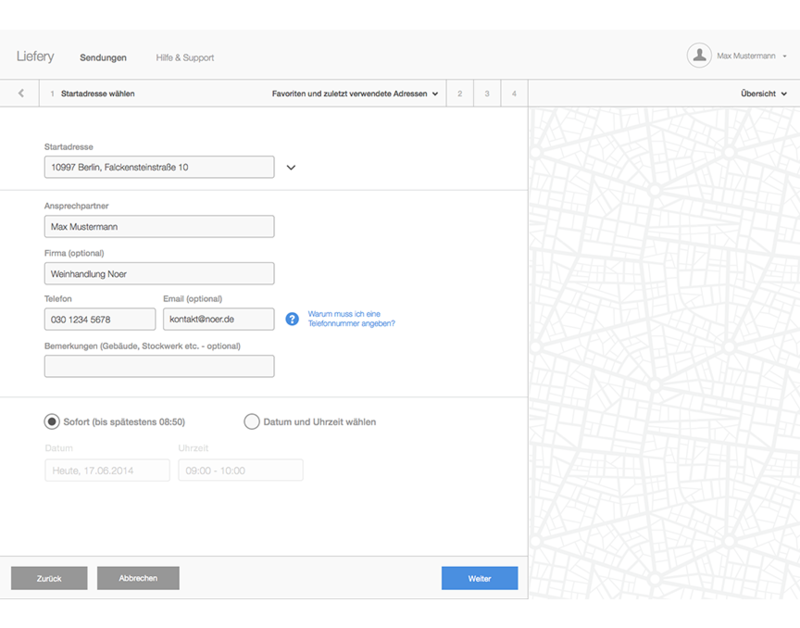 The Android app is focused on the couriers, offering functions of delivery management, problem report, pickup and dropoff confirmation, tour management.